The consumer 3D printing hype that promised a 3D printer in every household didn’t quite pan out, but industry use of the technology is only increasing, signaled by the acquisition of metal 3D printer company Concept Laser by GE Aviation. This is because, in addition to its use for prototyping, additive manufacturing (AM) provides unprecedented methods for producing custom parts on demand and with complex geometries unachievable with traditional manufacturing technologies. AM is seeing increasing adoption by a wide range of industries and applications. Six of those industries are described below. On an immediate level, 3D printing can be used to produce detailed architecture models. Rather than rely on past methods for creating models of buildings, it’s possible to convert standard CAD models used to design structures into 3D-printable files. This can be done with simple entry-level 3D printers or even high-end industrial systems that achieve high levels of color and detail. For instance, WhiteClouds, which boasts one of the world’s largest full-color 3D printing factories, offers a service called 3DyourPLAN with which the firm will 3D print full-color architectural models. In the long term, it will become even more possible to 3D print the buildings themselves. The technology is still in the proof-of-concept stage, with the only 3D-printed building actually in use at the moment being the Office of the Future in Dubai. Numerous endeavors are underway, however, to make 3D-printed buildings a widespread reality. In fact, several countries, including the United Arab Emirates and Singapore, are working on incorporating the technology into government strategies for the future of construction. 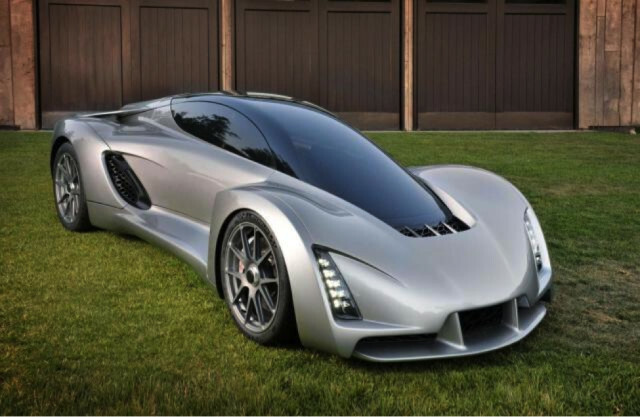 The automotive industry was an early adopter of 3D printing since its invention as a prototyping technology, allowing auto manufacturers to iterate designs more quickly. As the technology has evolved, these companies have been the first to jump onto new 3D printing processes. For instance, BMW, Ford and Delphi Automotive have all taken Carbon’s ultra-fast continuous liquid interface production technology to 3D print prototypes and, in some cases, end parts. 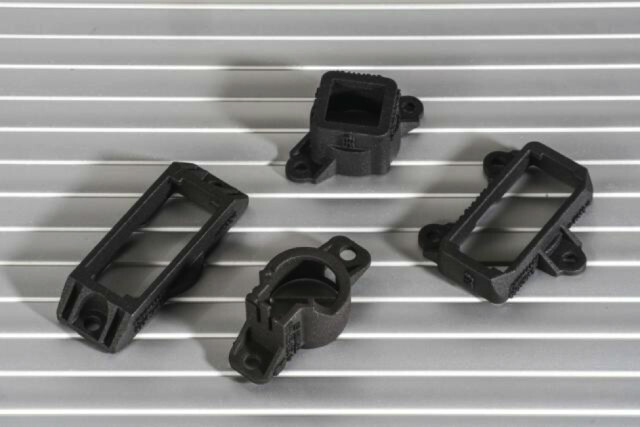 While 3D printing may not currently be the best technology for large-scale production of end parts, it has made sense for batch production of custom components. In the case of BMW, this has meant individual nameplates for MINIs, but it may also serve luxury automobiles, of which only a limited number will be produced. The technology is slowly beginning to transform the entire auto industry, as at least two startups are working to make it possible to create entire vehicles with 3D printing. The furthest along is Local Motors, which has not only 3D printed an autonomous vehicle for local, low-speed transportation, but also promised an entire fleet of 3D-printed vehicles to hit the highway in the near future. Divergent 3D has a different model in mind: 3D printing metal nodes that will be used to attach carbon fiber rods to assemble a complete auto chassis. This, the firm suggests, will ultimately make it possible to do away with the costly and energy-intensive process of metal stamping and tooling currently employed for mass manufacturing automobiles. Both Local Motors and Divergent 3D believe that our cars will become smarter, as producing each vehicle on demand will allow designs to be changed on the fly, while incorporating sensors into vehicles will enable the collection of data for future designs. Perhaps the most immediate and life-affirming industries currently benefiting from 3D printing are the medical and dental industries. The simplest application may be the use of a patient’s medical imaging data, such as a CT scan, to create a 3D-printed medical model. These models can be used to diagnose an illness or even plan and rehearse a surgery, thus making a procedure more predictable and reducing time in the operating room. Taken a step further, this data can be used to created patient-specific implants that fit a patient perfectly. When an implant, such as a cranial plate or hip bone, is printed with a porous structure, only possible with 3D printing, it encourages bone growth and makes it more quickly accepted by the patient’s body. In this area, Belgian company Materialise is king. The 25-year-old firm has been designing software specifically for creating patient-specific implants and models for some time—so long, in fact, that the company has a medical division staffed with engineers dedicated to creating these implants. An increasing number of 3D-printed implants are receiving regulatory certification, but what may be more interesting is the fact that there is now one FDA-approved, 3D-printed medication, Spiritam. Printed as an instantly dissolvable powder, Spiritam is a seizure drug designed for those who have trouble swallowing. It is printed with a similar powderbed process to the architectural models from WhiteClouds, mentioned above, but with quite a different outcome. In dentistry, 3D printers are now being used to 3D print crowns, molds and models. When 3D printed with specialty photopolymers, a patient-specific crown model can be cast in metal. Clear resin is used to create personally tailored surgical guides, both in medicine and dentistry, to increase the precision of a surgery. Bioprinting is one of the most fascinating areas of medical 3D printing, and while it’s still in the early stages, one company is already selling 3D-printed liver and kidney cells for drug discovery research. Until complete organs can be made, human tissue cells may speed up time to market for new medications, limit animal research and reduce errors in medications once they’re on the shelf. There are two outstanding medical and dental examples of 3D printing used for the mass manufacturing of end goods: hearing aids and dental aligners. Companies like Audicus are able to create custom hearing aids by converting 3D scans of a patient’s ears and then 3D printing the casing for the aid, leading to tens of millions of such devices already produced and sold worldwide. Dental aligners are made by using a scan taken by an intraoral scanner to create a 3D-printable model. Once printed, that model is used to thermoform the invisible aligners. And, though not perfect, 3D-printed prosthetics are amazing demonstrators of the very personal power of the technology, as people worldwide have received custom prosthetics 3D printed for just a few dollars. Like the auto industry, consumer good manufacturers have long adopted 3D printing to prototype products before going into production. With 3D printing, product development cycles are being sped up in every category, from electronics to toys to appliances. Consumer goods, too, are beginning to be manufactured with 3D printing, usually in short batches. The key again, here, is customization. Personally tailored products make the most sense to 3D print, as the technology may be the best method to produce them. Examples include 3D-printed Makies dolls, custom designed by customers online; luxury headphones tailored to the wearer’s ears; personally tailored insoles and shoes with 3D-printed soles. In the consumer space, the most successful application of the technology may be in the production of jewelry. Though 3D printing is used to create rings, pendants and earrings directly, it is more often implemented to create models that are then cast in metal. This saves time, energy and cost associated with hand carving models. In the future, the idea of mass customization, in which personalized items are 3D printed in bulk, could lead to a consumer industry in which everything is tailored to every customer, from insoles that fit one’s feet exactly to complete garments that align with one’s body shape. Where there’s technology, you can bet that governments and militaries are involved. Currently, nations worldwide are funding programs to advance the state of AM, with many currently tackling such issues as quality control in metal 3D printing, meta materials and 3D printing sensors. Because governments, businesses and research institutions are often inextricably connected, it’s not always obvious where the military ends and academic research begins. Weapons companies like Lockheed Martin are partnering with U.S. universities to improve metal 3D printing through the U.S. Department of Defense–controlled America Makes program. Meanwhile, at the U.S. Department of Energy, researchers are developing methods for 3D printing carbon fiber–reinforced plastics at fast rates and large scales. 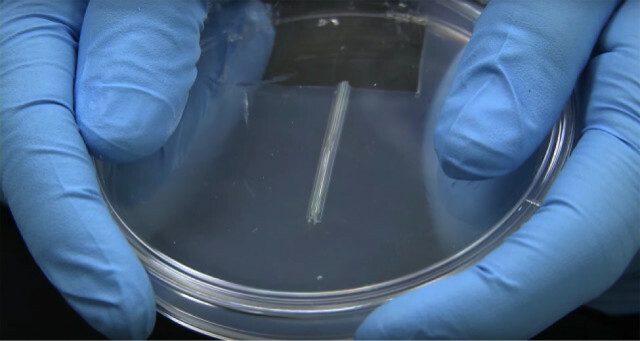 In the near future, the U.S. Army hopes to 3D print skin to heal the burn wounds of soldiers, using their own stem cells. Body armor and helmets, improved through unique geometries, will be lighter and stronger to protect them in the field of battle. At the moment, 3D printing is used to create components for unmanned aerial vehicles, but more terrifyingly, the Department of Defense actually envisions 3D printing swarms of microdrones that can perform live surveillance. It’s also quite difficult to extricate the aerospace industry from the defense industry, but thanks to companies like GE and Airbus, there are important developments around 3D printing in commercial aircraft that may change the way we fly. 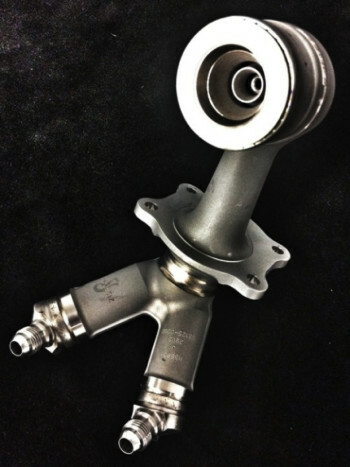 GE will go down in the 3D printing history book for the creation of the LEAP jet engine nozzle. Through its joint venture with Safran Aircraft Engines, GE Aviation redesigned a typical fuel nozzle in such a way that it would cut aircraft fuel consumption and CO2 production by 15 percent. Topologically optimized, the component can only be produced with 3D printing. Airbus, which is one of the primary customers of the LEAP engine, is working on completely rethinking the way that aircraft parts are designed, incorporating ever greater numbers of 3D-printed parts in its A350 XWB aircraft. The aircraft will also include 2,700 noncritical plastic parts from Stratasys and metal components from Materialise. Airbus is also considering 3D printing cabin dividers with unique topologies to further reduce the weight of the aircraft. As aerospace begins to reach into outer space, we’ve also seen space agencies and companies use the technology for a variety of purposes, often to reduce the weight of rockets or to create unique components. Perhaps more interesting is the idea of 3D printing in space itself. 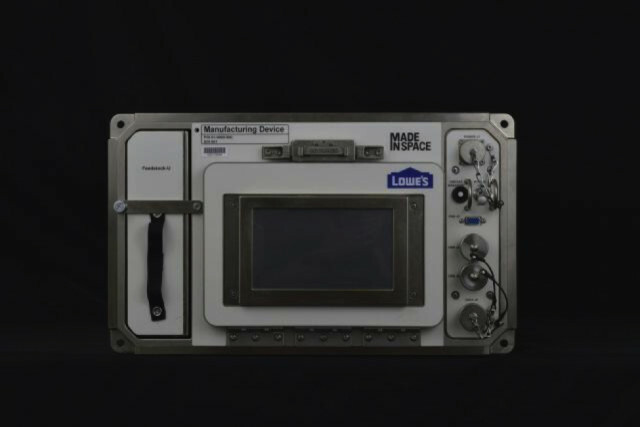 Made In Space has already installed two 3D printers aboard the International Space Station (ISS), while Firmamentum hopes to send a combination 3D printer and plastic recycler there in the future. In fact, students can even 3D print aboard the ISS through the Print the Future competition, which aims to drive NewSpace education and technology as a part of the larger Enterprise In Space program. At the moment, 3D printing is moving from a pure prototyping technology to an actual AM technology. There are still numerous improvements to be made before it can be implemented for mass manufacturing, making it more ideal for small-batch and one-off production. However, once issues like repeatability and scale are tackled, it’s envisioned that mass manufacturing will actually be possible. Even Airbus imagines, one day, the ability to 3D print complete aircraft fuselages, and numerous companies are working to 3D print entire buildings. What this could mean for society, barring any disasters in the interim, is more efficient cities and vehicles, goods that work for every individual and perhaps even 3D printing our way across the stars.